This Barking Wednesday I want to discuss Pet Dander. Diesel had a serious dander problem. I found a really effective way to treat Diesel's dander issue. 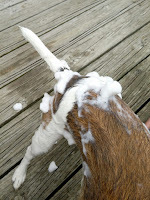 I started giving Diesel a bath once a week using Restore natural dog shampoo enriched with honey. 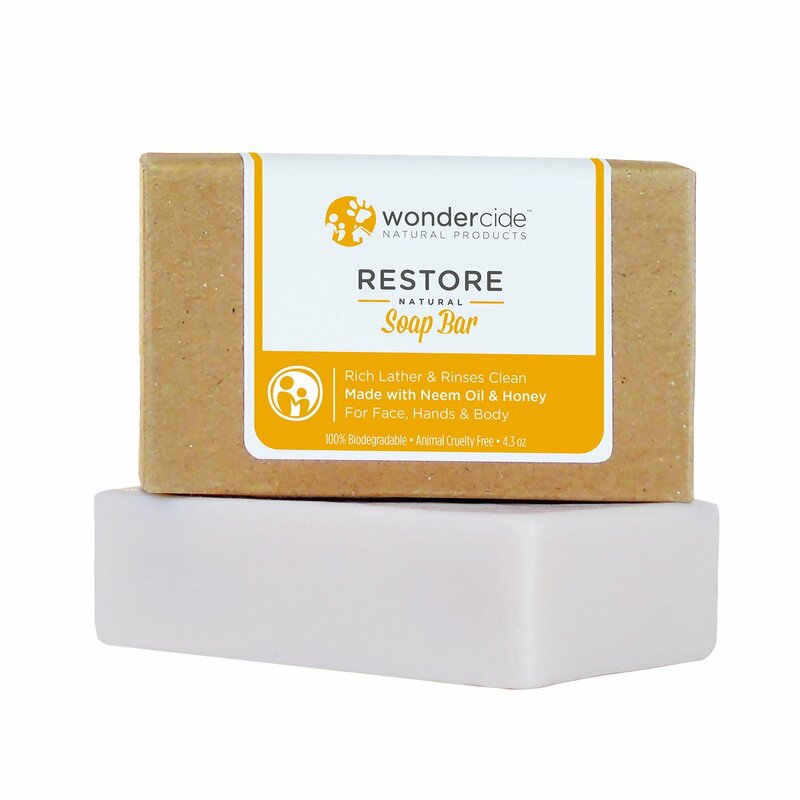 Restore is sold on Amazon - click HERE to learn about Restore. As a final rinse ~ I make a rinse solution of one gallon of water to one cup of Lime Juice. 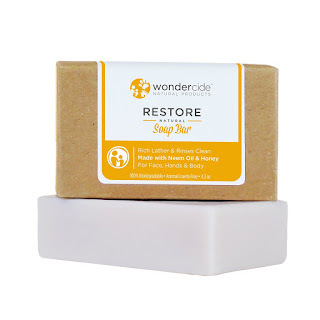 The Restore soap was very easy to use. I rubbed the bar on Diesel's back and them used my mitt. It was very impressive how much the soap absorbed into his hair. Diesel's vet informed me that there are a few reasons that might be the cause of Diesel's dander. The reasons are lack of grooming, bad diet, and insufficient exercise. Diesel eats a very good diet and is bathed monthly. I have started giving him a bath weekly with the Restore shampoo and the Lime rinse. I have also increased his daily exercise. It is amazing how the dander has been reduced. Click Wondercide Natural Products for a $10 off coupon on your first order! 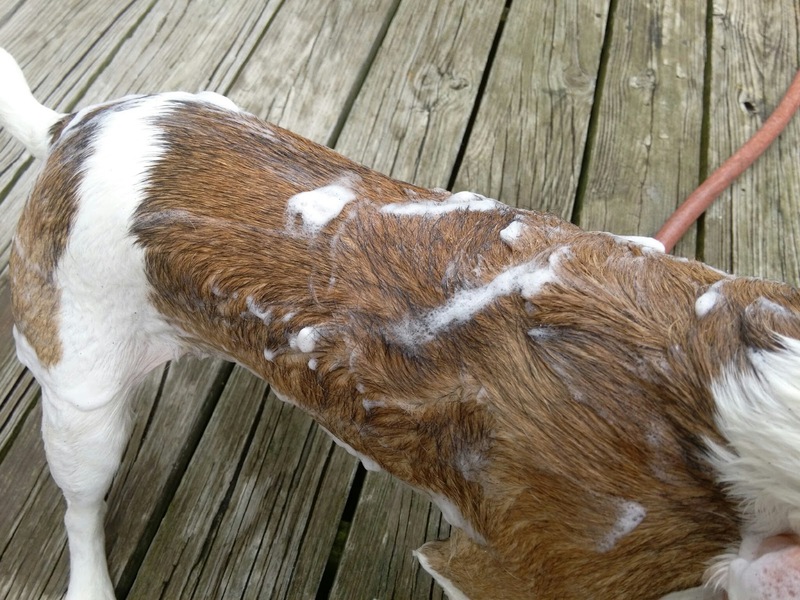 If your dog has a dander issue - give the Restore shampoo & Lime Juice rinse a try. That along with increased daily exercise has definitely helped reduce Diesel's dander issue. Happy National Dog Day !!!! Is Diesel enjoying his weekly baths? Sounds like a great product. Sounds like a great product! Wonder if this would work on cats too? We have a cat that likes baths. Glad you found something that works for your dog. I LOVE bar soap for bathing dogs, but I haven't actually used one in a while. Looks like Diesel is a happy pooch! This sounds like a great product. I will share this with family and friends that have dogs. 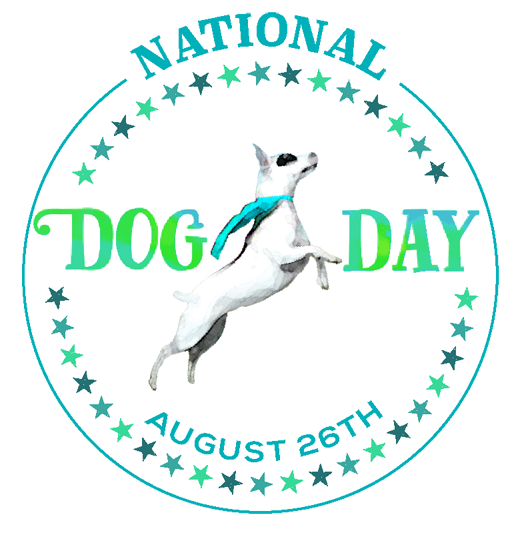 Happy Dog Day! My calico cat used to have BAD booty dander. Brushing her was a daily task! This is an interesting idea. I've never heard of this before, but I'll definitely give it a shot. This sounds like a product every dog owner should know about! My hubby takes care of the dog washing responsibilities so I'm going to have to tell him all about this! Dander will be a big problem in the fall combined with seasonal allergens. It's great that this worked so well! 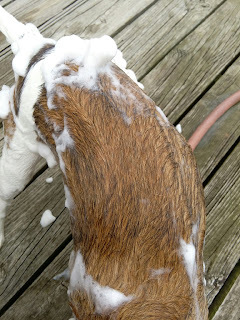 I am allergic to dander hence why we don't own a dog but, if you can just give them a weekly bath and that helps control it then we might be able to get one. Highly allergic to dogs, as is man-friend.... So visiting my family is a BUST because they have 6 of them! ha! Our Harvey use to have horrible dander but a change in diet has really helped with that and his other allergy symptoms. I will keep this routine in mind in the event things flare up again. Diesel looks so well behaved for his bath. I am glad you found something that works so well for you! My pets don't have dander. I'm so glad because I am allergic to it! I have never thought about using soap! Next time I will try it! Thank you for sharing it! Sounds like a great solution to a pesty problem. My daughter is allergic to this dander. Awesome treatment. So good to know and will share with a friend of mine. It's funny to remember how much dogs are like us. They get dander too! Great treatment for your dog! I haven't worried too much about dander. Now shedding that is a separate issue. Sounds like a great product! I need to check it out for my puppy. I bet it makes them smell really good too! What an awesome product! I will definitely be looking into this for my dog. Oh I'm going to have to get this for my moms dog! She has dander and really dry skin, I bet this would really help! This is a product my daughter could use on her dogs. Elvis and Ringo both have a dander problem. 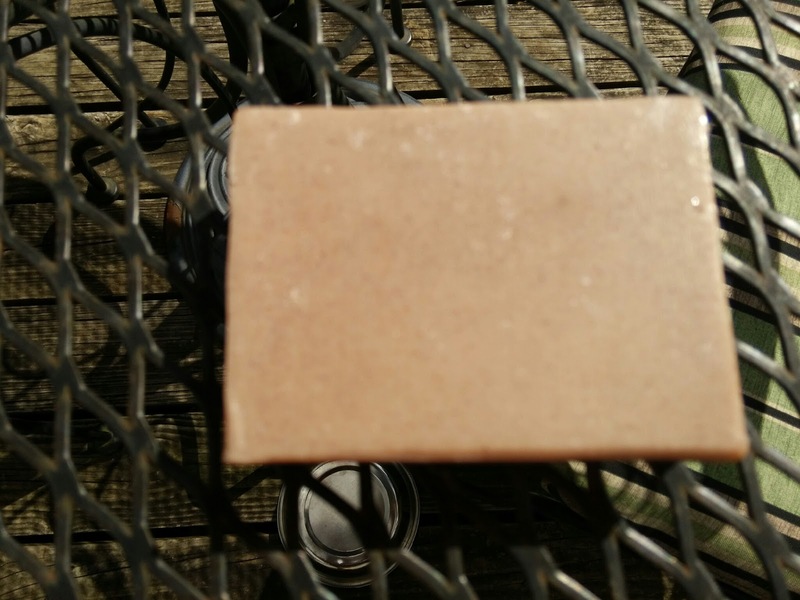 I have never used a bar soap on my dogs. Sounds like a great product. I'll have to hop on Amazon and check it out. 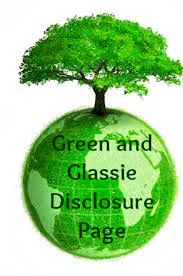 It's great to know where to look for good pet products. I need to wash my dogs more regularly. They actually don't mind it. Diesel has a beautiful coat. Thanks for your honest review. I have a dog and I need to start paying more attention to products we are using on him! It's funny sometimes the 'hairier' looking breeds let off less dander and the ones that don't look so hairy let off a ton! I'm glad you hit on a product that is really working to resolve the issue! Man oh man did I need this right now! The dander is insane in our house right now. I wonder if they have something like this for cats and if it will keep the fleas away.